Zillertal - Despite transforming SV Werder Bremen from relegation candidates into genuine European contenders in under eight months at the helm, club coach Viktor Skripnik is far from resting on his laurels. Indeed, die Grün-Weißen have enjoyed an unbeaten pre-season so far, including winning the Audi Quattro Cup in impressive fashion last weekend. Bremen hammered hosts, and Austrian champions, FC Salzburg 4-0 in the semi-final before overcoming Valencia CF on penalties in the final after a goalless draw. "We're really pleased not to have conceded a goal," Skripnik told the club's official website, werder.de. "Particularly because both teams were giving their all. Winning the tournament makes the hard work that little bit easier." Hard work is certainly the order of the day for Bremen: Skripnik is trying to make subtle alterations to the side's playing style in order to be harder to beat in 2015/16. "We want to have more possession next season," he continued. "We have to be enthusiastic about having the ball and for that reason we need to be less static and instead have lots of movement." The modifications, however, do offer several of Bremen's youngsters an opportunity to impress and establish a place in the side. "We have a few injuries at the moment and we've had to take some tough decisions," Skripnik added. "Unfortunately that's part and parcel of being a coach, but of course it means everyone has the chance to prove themselves again. The door is very much still open." Levin Öztunali, on loan at Bremen from Bayer 04 Leverkusen, is intending to barge through that door. "I want to play as many games as possible [this season]," the attacking midfielder, who impressed against Valencia, told kicker. 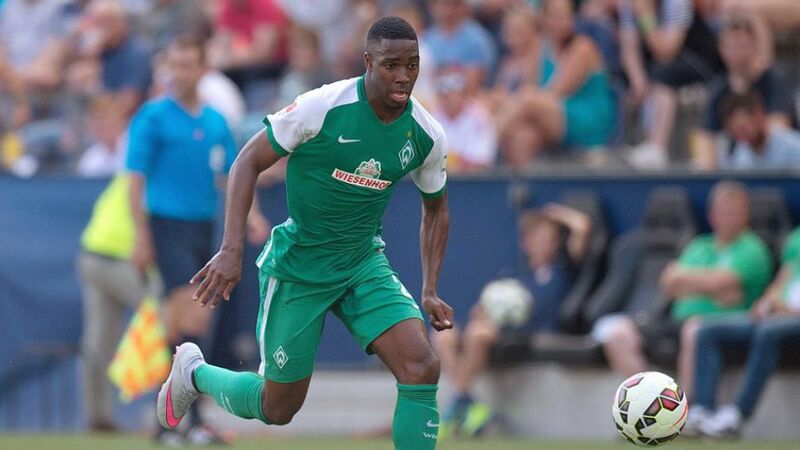 "Everything is superb in Bremen [for a young player] and it's certainly the best place for me to be." "The most important reason for my decision in favour of Bremen, though, was the chance given to youth," the left-back, and the club's third youngest player after Öztunali and Maximilian Eggestein, continued. "I notice it in training every day." It would appear that Bremen's upward curve under Skripnik is set to continue for quite a while yet.